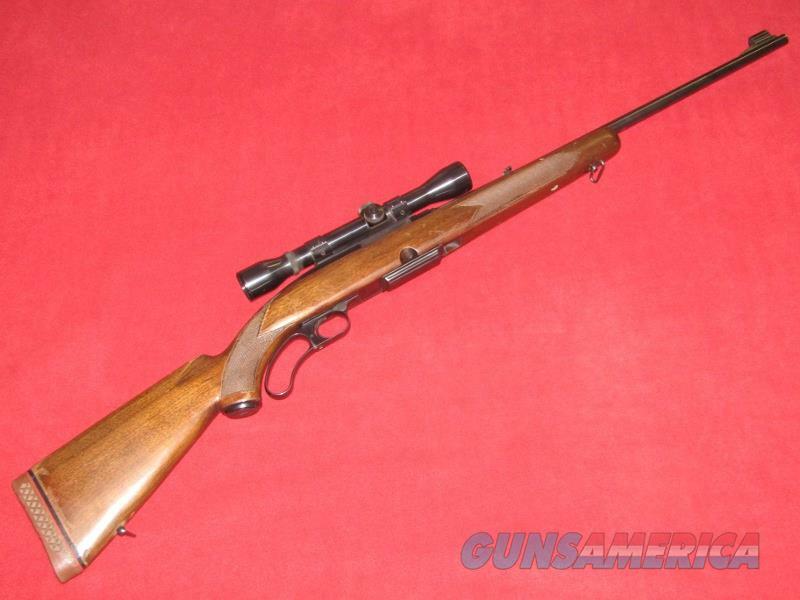 Description: Up for sale is a used Winchester 88 Rifle (.308 Win.). This item has a 22” barrel with a shiny bore and checkered wood stock. The blueing shows some wear and light scratches in the finish. The stocks shows light scratches and dings in the wood as well as some wear in the finish. Mounted on top is a Weaver marksman fixed 4 power scope with fine crosshairs, the glass looks clear when looking through it. Several light scratches are visible in the finish on the scope. Comes with one magazine. D.O.M. is 1959.